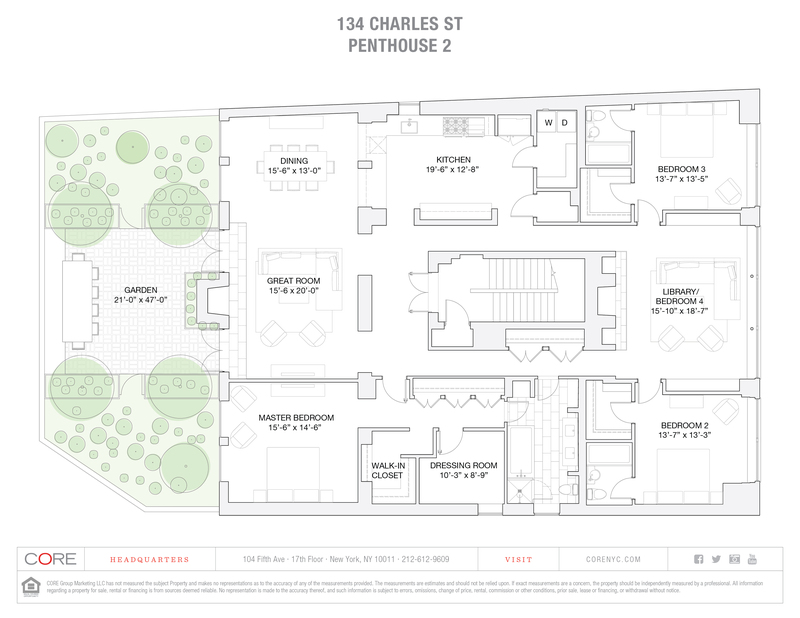 Ideally situated between Washington and Greenwich Streets just one block from the Hudson River, PH2 at 134 Charles features superlative indoor and outdoor living in the heart of the West Village. As one of only two residences, this 51 foot-wide, 3,300 square-foot, 3- to 4-bedroom home features tremendous scale and privacy. 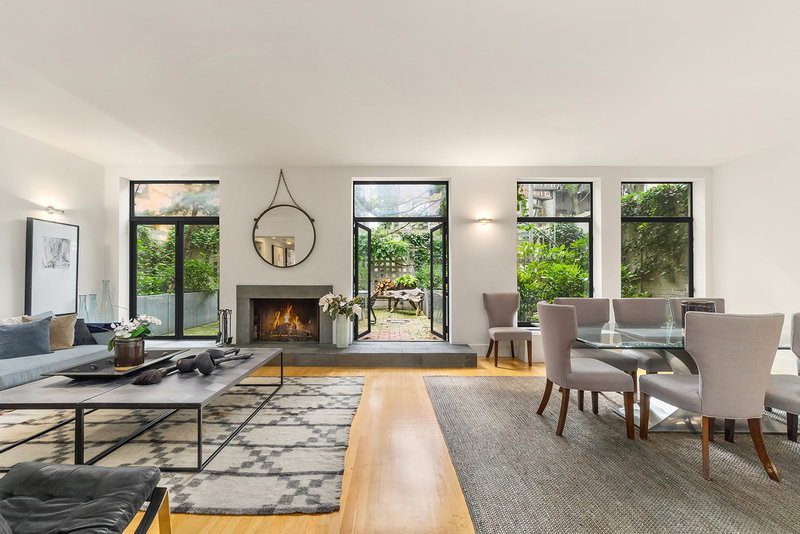 Upon entering the living room, the scale is immediately felt with grand ceiling heights and one of the apartment's two wood-burning fireplaces overlooking a large, private, south facing, landscaped garden through floor-to-ceiling windows. The dining room, with the same south facing exposure, can comfortably accommodate a 12 person table while the airy and spacious kitchen is highlighted by a commercial grade Garland range, equipped with six burners, dual ovens, and a flattop griddle. Accessible down one of two hallways, the media room features the home's second wood-burning fireplace. Two additional bedrooms, with en-suite bathrooms, bookend the room, providing privacy and separation. The master suite features secluded garden views, a five-fixture bathroom, hall closets, a walk-in closet, and a dressing room or office.